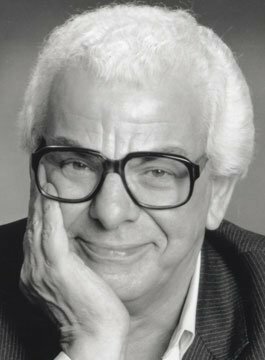 Barry Cryer OBE is a Comedian, Broadcaster, Scriptwriter and After-Dinner Speaker. Barry was born in Leeds and educated at Leeds Grammar School and Leeds University. While appearing in a University revue, he was offered a week’s work at the famous City Variety Theatre, home of The Good Old Days. Cryer’s variety work led him to the Windmill Theatre in London, a legendary school for comedians, whose graduates include Sir Harry Secombe and Peter Sellers. Barry started writing for revues at The Fortune Theatre, home of Beyond the Fringe. This led to writing and appearing in night club shows with Danny La Rue, an association that was to last for thirteen years. During the late 60’s David Frost invited Barry to join the writing team on his BBC program, The Frost Report – an amazing group of writers who included what was to become the whole of Monty Python, Marty Feldman, David Nobbs and many more. He moved with Frost to ITV and wrote and appeared in The Frost Programme, Frost on Sunday, etc… until he returned to the BBC as one of the original Two Ronnies writers. Highlights of his career include the night club shows with Danny La Rue, charity shows at the Players’ Theatre Old Tyme Music Hall and Two Old Farts In the Night, a collaboration with Willie Rushton which performed to full houses until Willie’s untimely death in 1996. Barry Cryer has successfully combined two careers in show business – as a writer and a performer. Barry has been a panellist on Radio 4’s award-winning comedy panel show I’m Sorry I Haven’t A Clue since it’s first series in 1972. Barry has established a reputation for nurturing new comedy talent, having hosted The Stand-up Show on BBC Television and the BBC New Comedy Awards. Barry remains as one of the country’s most popular after dinner speakers.